Annie Laurie (tentatively identified as Annie L. Page, August 11, 1924 – November 13, 2006) was an African American jump blues and rhythm and blues singer. She is most associated with the bandleader and songwriter, Paul Gayten, although she also registered hit singles in her own name. 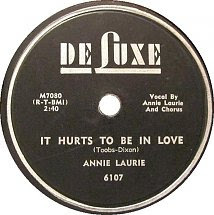 Laurie first recorded in the mid-1940s and her professional career lasted until the early 1960s. 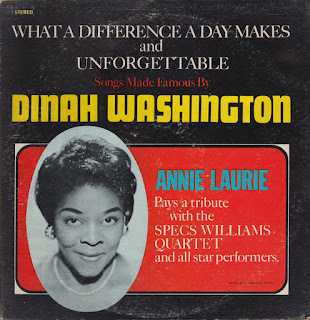 Appraisal of her qualities appears to vary between Dinah Washington stating that Laurie was her favourite singer, to Irma Thomas, who opined - "Annie Laurie? She was okay." Laurie was born in Atlanta, Georgia, United States. 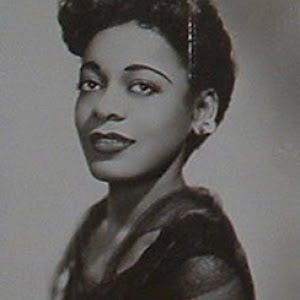 Her personal details are obscure, but she has been tentatively identified by blues researchers Bob Eagle and Eric LeBlanc as Annie L. Page, born there in 1924. Her singing career started by vocalising for two territory bands led by Dallas Bartley and Snookum Russell, on the chitlin' circuit. 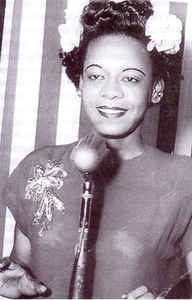 In 1945, she recorded a version of "Saint Louis Blues" with the Bartley led band for Cosmo Records. She relocated to New Orleans, Louisiana, and was engaged by Paul Gayten. 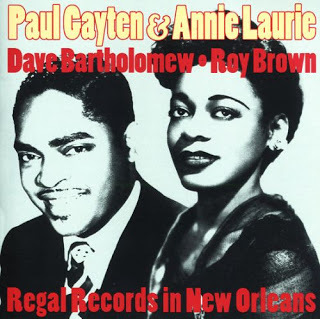 In 1947, she was performing in concert in New Orleans with Gayten, when the latter asked the young Fats Domino to come and play "Swanee River Boogie" on stage. the first really good record that I liked... [She] was just fantastic; I mean nobody will ever make another version like that. She followed its success up with "Cuttin' Out" (1949), "You Ought To Know" (1950), "I Need Your Love" (1950), "Now That You're Gone" (1950) and "I'll Never Be Free" (1950). Laurie also toured with Gayten's orchestra in 1951. 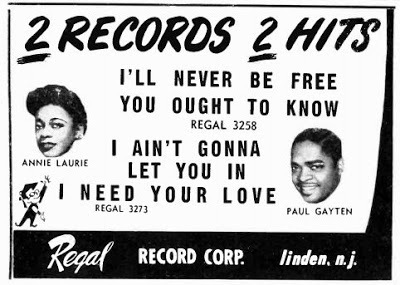 Laurie's association with Regal Records ended in 1951, and she started recording for Okeh. 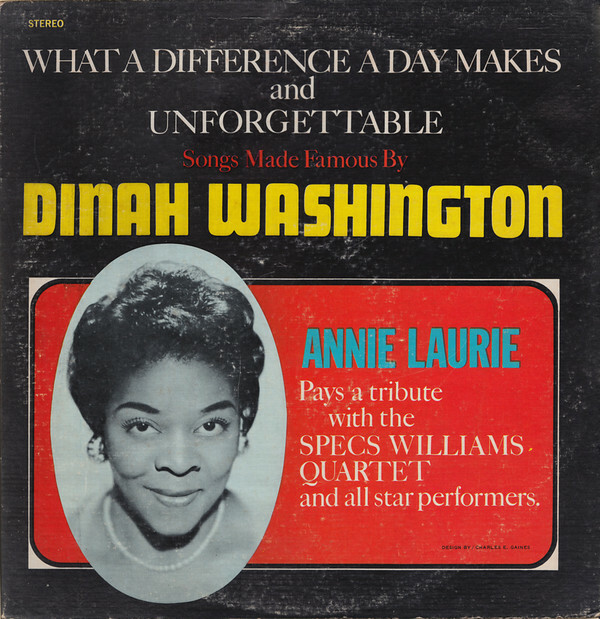 By 1956 her releases were issued on Savoy Records, for whom she recorded in New York City with Hal Singer's orchestra, featuring guitarist Mickey Baker. Thing (both 1957). In July 1960, Laurie appeared in concert, sharing the bill with Screamin' Jay Hawkins, the Five Satins, Joe Turner, Faye Adams, Ben E. King, and Nappy Brown, at Chicago's Regal Theatre. The same month she had her final chart hit with "If You're Lonely." According to Eagle and LeBlanc, she died in Titusville, Florida, in 2006, aged 82. Please Note - Track 4 was found faulty from original source at audiotut, Could only replace with a substandard mp3 from You Tube. So if anyone has a better version please drop me a line!